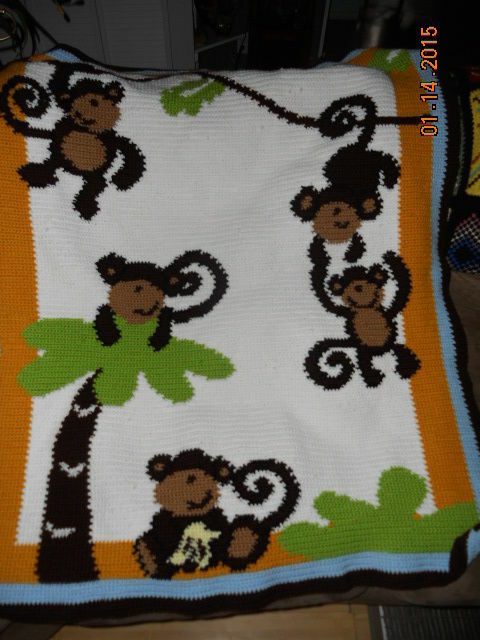 This was made for my first great-grandchild due in March. and congrats re the babe! Congratulations on your greatgrandchild. This Afghan looks amazing. So many details. Beautiful work. So talented. Thanks! I can’t share on Facebook yet because my granddaughter would see it! Cute, cute, cute, beaitiful work, where did you get the pattern? This was a paid pattern from Cuddleup-Creations.net.